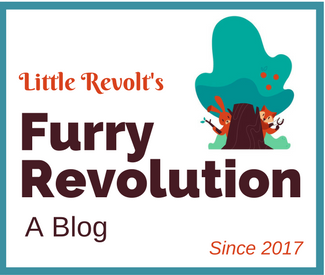 Today Little Revolt is taking a look back at the past year. We are proud of our work in 2018, but we know great things happen only with the support of our friends. Below is the Little Revolt year in review. Thank you to everyone who joined us, and we apologize if we forgot someone below. We started the year off with an original play, Journey to the Center of the Earth, based on the classic Jules Verne novel. 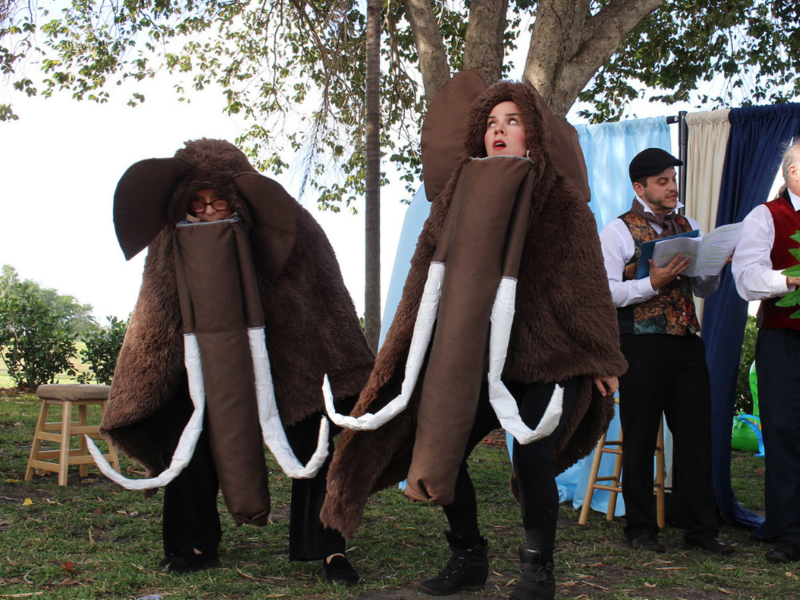 Among other things, the show featured fighting dinosaurs, mastodons, and lots of laughs. In addition, we modernized our Journey somewhat by creating prominent, stronger roles for our female actors. And thirdly, two shows for the youth at His House Children’s Home (our first bilingual performance!). We are so happy to have shared classical literature and laughs with so many people. Our cast included Andrew Garcia, Max Scaglione, Kim Calil, Laurel Welch, Dario Lamas, Jorge Calil, and yours truly. We had fantastic support from costumer Dee Piquette, as well as Jeanne Dautermann, Cari Martinez, the Miami Springs HS Math Club, Margot Acosta, Lily Calzadilla, Birgit Scaglione, Sophia de la Grana, Tyler Reed, Ralph Wakefield, the Pelican Playhouse, Melinda Jester, the Curtiss Mansion, Wally Clark, Chris Jerauld, Eddie Rojas, and others. We also thank Bob Nathanson and Puppets To Go for making the Curtiss Mansion event a double feature (with their Little Red Riding Hood show). 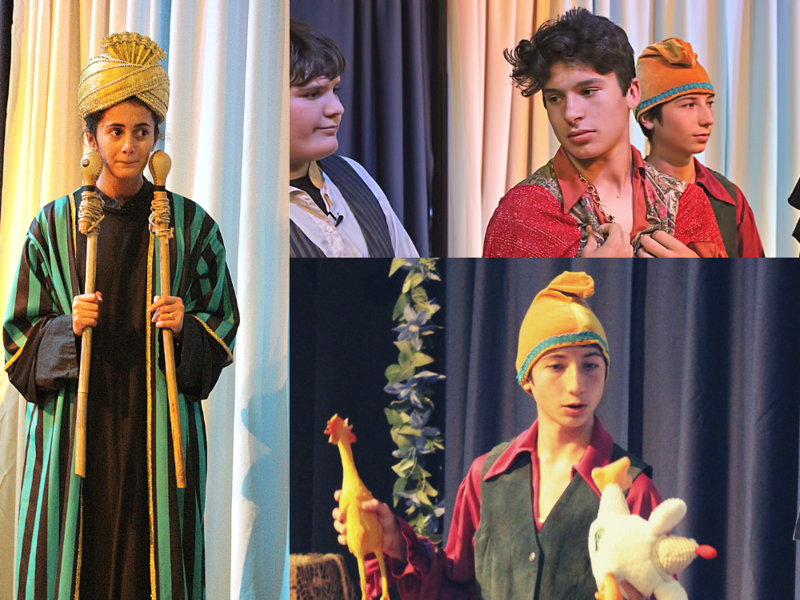 On the heels of Journey to the Center of the Earth, we undertook another adventure – classical theater with seventh and eighth graders. We offered students at All Angels Academy located in Miami Springs a choice. 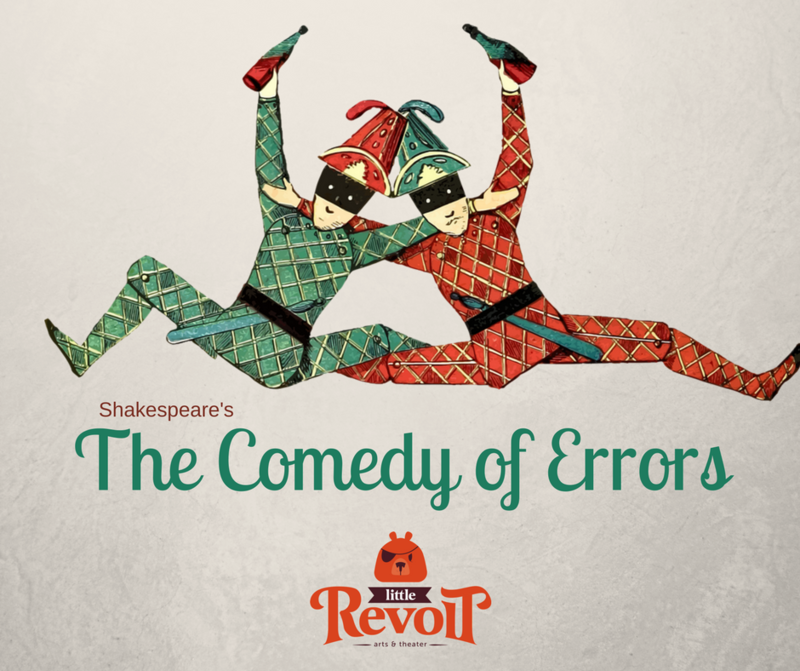 They could perform Roald Dahl’s The Fantastic Mr. Fox or William Shakespeare’s The Comedy of Errors. Guess which play they selected? Shakespeare won by a landslide. There’s a lesson: Never underestimate young people. 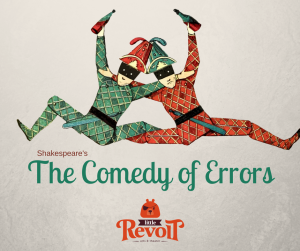 The Comedy of Errors was a riot, with twins, mistaken identities, flying fish, and a crazy audience participation food fight. Above all, we are proud of the students who took ownership of the play and made it so much fun. Thank you to Terry Alexander, Joy Diaz, All Angels Academy, Juliana Arias for choreography, Dee Piquette for costumes, Carrie Segal for her generous support, Margot Acosta, Birgit Scaglione, Danny Febres, Tyler Reed, Ralph Wakefield, the Pelican Playhouse, Wally Clark, and others for your support. 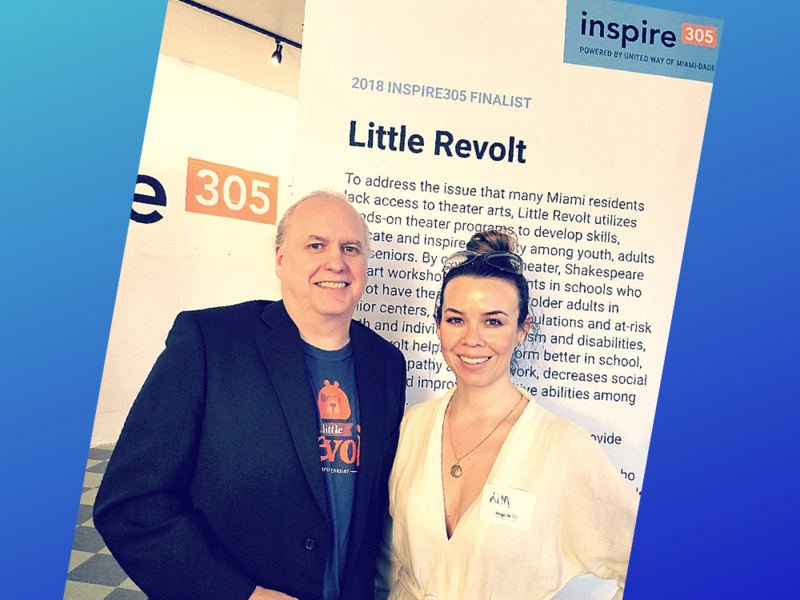 Little Revolt was selected as one of 7 finalists in the Inspire305 program, which recognizes innovative young nonprofits in Miami. We were honored and humbled to be in the group of nominees, including: Exchange for Change, LEAPlete Foundation, The Mission Continues Service Platoon, South Florida Center for Percussive Arts, Mind & Melody, and Code/Art. We did not win the final award. However, we received a generous $5000 contribution from an anonymous donor who was inspired by all of the nominees. Thank you to Inspire305 and the United Way of Miami-Dade County for this honor. Congratulations to all of the nonprofits. The Hamlet Dumb Dumb Show starring (among others) 7-year old Raul Fernandez-Calienes as Hamlet and 8-year old Emma Calil as Ophelia. Shakes Scenes performed by actors from the Miami Springs Senior Center and directed by Mary Reed. 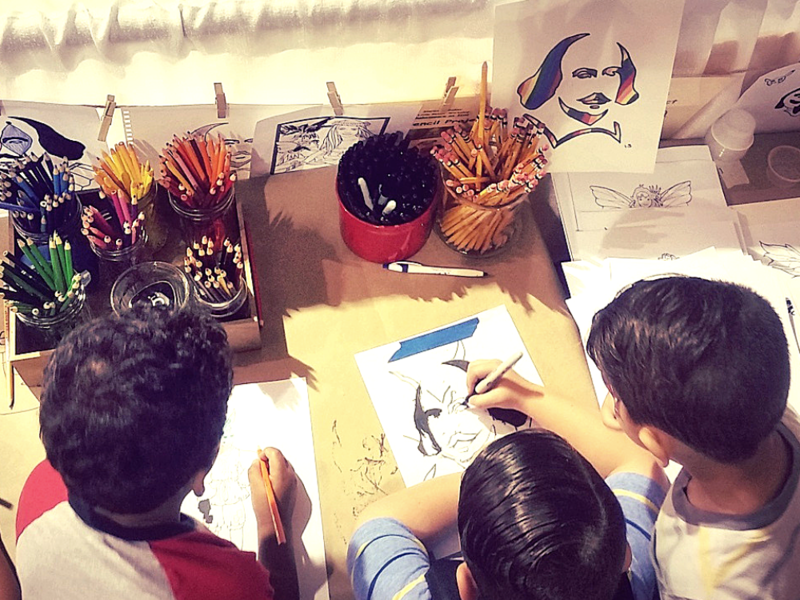 Wonderful art activities orchestrated by Birgit Scaglione (Elizabethan ruffs, Shakespeare emojis, colored fairy coloring sheets, stencil art, and more). 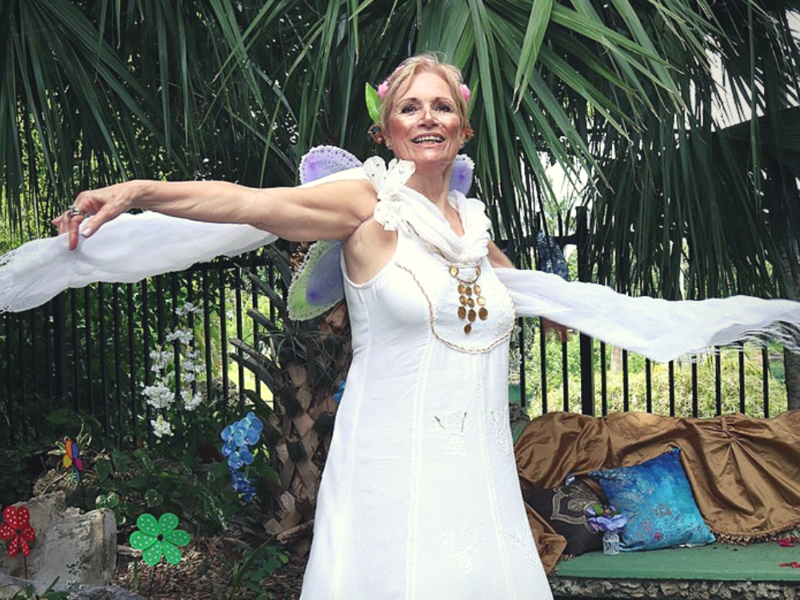 A Midsummer Fairy Garden and scavenger hunt designed by Marjuree Larin. Storytelling by Mr. Ralph (Wakefield) featuring A Midsummer Night’s Dream. Old English dance lessons by Juliana Arias. Stage combat lessons by Sergio Luis Yanes. Coconut Nerf archery-golf, a bear toss game, the Sonneteers wandering troupe of actors. And a costume trunk for dress-up and selfies, and more. An army of volunteers and actors supported Shakes Fest, too many to name. But thank you to Dee Piquette, Mary Reed, Birgit Scaglione, Max Scaglione, Margot Acosta, Marjuree Larin, Chris Jerauld, Michael Scaglione, Juliana Arias, Rick Reed, Robin Reed, Anchor / Pilot Club, Melinda Jester, the Curtiss Mansion, Ralph Wakefield, the Pelican Playhouse, Karen Rosson, Miami Springs Senior Center, Jorge and Kim Calil, Wally Clark, and others. Our sponsors for this event included: Miami-Dade Department of Cultural Affairs, Assure-A-Smile family holistic dentistry, Doral Lincoln, Anthony’s Coal Fired Pizza of Doral, and Leonard Real Estate Group. Little Revolt spent a day at the Children’s Trust Family Expo, and it was great fun. Our booth was very popular due primarily to the efforts and talents of Birgit Scaglione, who designed our art activities. 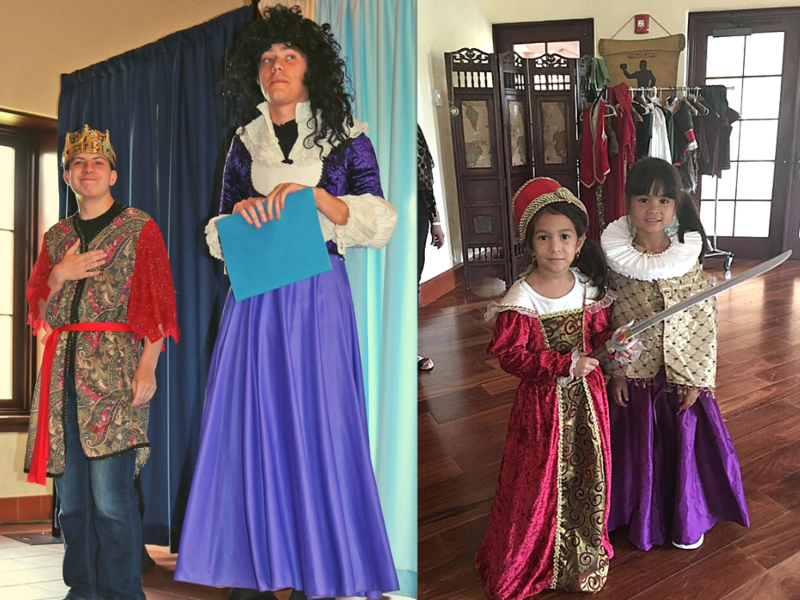 As a result, hundreds of kids visited and created Shakespeare stencil art, colored Midsummer fairies, and tried on costumes. Little Revolt made friends with the wonderful folks at Monat Global (premium hair care products) and Monat Gratitude in 2018. 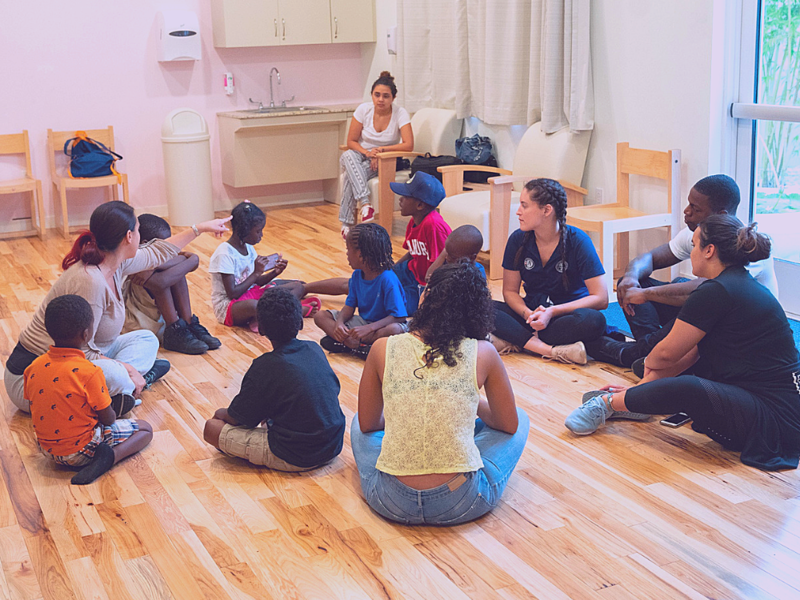 Monat asked us to jointly create a 5-week theater camp with the youth at Lotus House, a Miami shelter for women and children. The Lotus House theater camp participants were slightly younger than our typical actors. But the program was incredible. Kids learned to speak poems and riddles, performed in various scenes, and danced up a tiny storm. Moreover, the experience reminded us that there are people in our community who don’t have a home or who live in dangerous situations. Luckily, Lotus House does great work helping women and children get back on their feet. We are happy to have had the opportunity to create a little joy (and education) for the wonderful kids at Lotus House. Thank you to Monat Global, Lotus House, Lu Urdaneta, Mary Ensor, Isabella Dell’Oca, Margo Hannah, Dee Piquette, Juliana Arias and especially Karla Colmenares Vargas for helping to make this program a success. 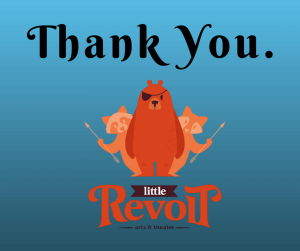 Now that 2018 is a wrap, we thank everyone who has supported Little Revolt in the past. To view more photos from all of our events, visit our photo page. We look forward to making more great theater and art. As a reminder, Little Revolt is a 501(c)(3) nonprofit organization. If you like what we do, consider making a contribution. You can make donations online from our home page. Little Revolt wants to create many types of theater. But early modern theater, and specifically the plays of William Shakespeare, bring us joy. We have performed Shakespeare and have taught his work to both students and adults. Our signature event, Shakespeare’s Birthday Celebration, is held in April and includes performances, storytelling, dance, art workshops and more. As a new theater organization, Little Revolt is still defining itself, and I am sure our programming will evolve. Our first group of shows included ‘James and the Giant Peach’ based on the Roald Dahl book, as well as ‘A Midsummer Night’s Dream’ and ‘Twelfth Night’ by William Shakespeare. These initial shows were creative, literary, and fun. A friend described our productions as “organic”. Whether or not he meant this as a compliment, I love the description. Organic is right. We are theater of, for, and by the people. 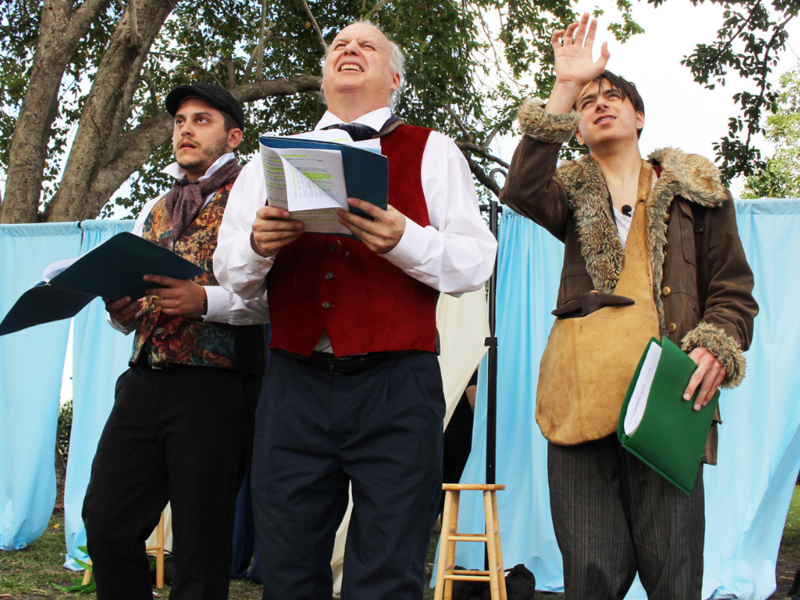 For more than 400 years, theater groups around the world have staged the plays of Shakespeare. People have interpreted his works in countless ways, and performed them in multiple languages — in theaters, at festivals and in parks. He has been called a “genius” and “the best writer in the English language.” He is an icon for many, a passion for some, and even a bane for others. I recently heard someone proclaim joyfully at a workshop, “Shakespeare is my life!” While others react with terror at the thought of watching a Shakespeare play. One of my friends referred to Shakespeare as an “industry.” There are in fact scholars and writers across the globe who make careers by researching and writing about Shakespeare. So why is it that we include Shakespeare in our work? We are happy you asked. 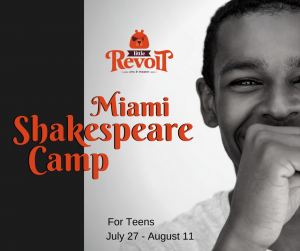 There are many reasons why Little Revolt includes Shakespeare in our programs. The simplest of those reasons is: We think Shakespeare is fun. His plays provide us with comedy, thrills, drama, action, music, and dance. Here I must take a moment to recognize the fantastic work of the American Shakespeare Center in Staunton, Virginia. I have visited the ASC many times, enjoyed shows, watched rehearsals, attended lectures and workshops, and I always leave the ASC energized and thrilled with the possibilities of Shakespeare. Although Little Revolt is different from the ASC (and much smaller), we hope we can share some of that same excitement with our local community in Miami. Why do so many people think Shakespeare is boring? Likely, they have not yet experienced Shakespeare in a positive way. We love English and Literature teachers (a lot). However, we believe that sitting in class and reading a Shakespeare play is a sure way to kill him. Rather, we encourage “Doing-Shakespeare-up-on-your-feet,” or “Watching-Shakespeare-right-in-the-middle-of-the-action,” or “Having-a-riotous-time-enjoying-Shakespeare.” You can choose to read, analyze, study or pontificate on his works. We encourage it, if that’s your thing. But, Shakespeare wrote sonnets and plays, and they plays were intended to be, well, played. 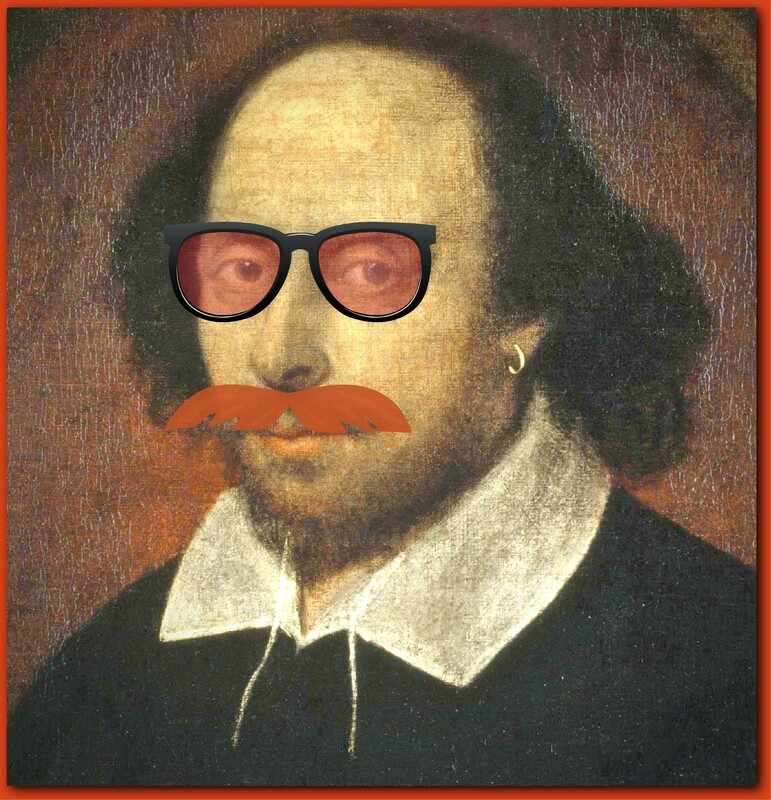 Ergo, we believe playing is the best way to enjoy Shakespeare. Another reason we focus on Shakespeare is that it fits nicely with our goal as a nonprofit arts organization. We aim to involve everyday people in making theater, to challenge people’s assumptions, to educate, to help people grow, to build ensembles, to encourage play, and to make the world a little bit better. Shakespeare’s plays support our goals perfectly. We hope to demystify Shakespeare. We want to demonstrate through action that Shakespeare is absolutely fun, hilarious, beautiful, poignant, and thrilling. Of course there are many types of theater which can be challenging and rewarding. But we believe doing Shakespeare adds a wonderful layer of richness. Doing Shakespeare makes us better people after having grown through the experience. For many people Shakespeare’s plays can require a little more effort to enjoy them. But like many things in life, the best things often require just a bit more work. Little Revolt supports the process of groups (young and old) growing together to understand Shakespeare by doing Shakespeare. 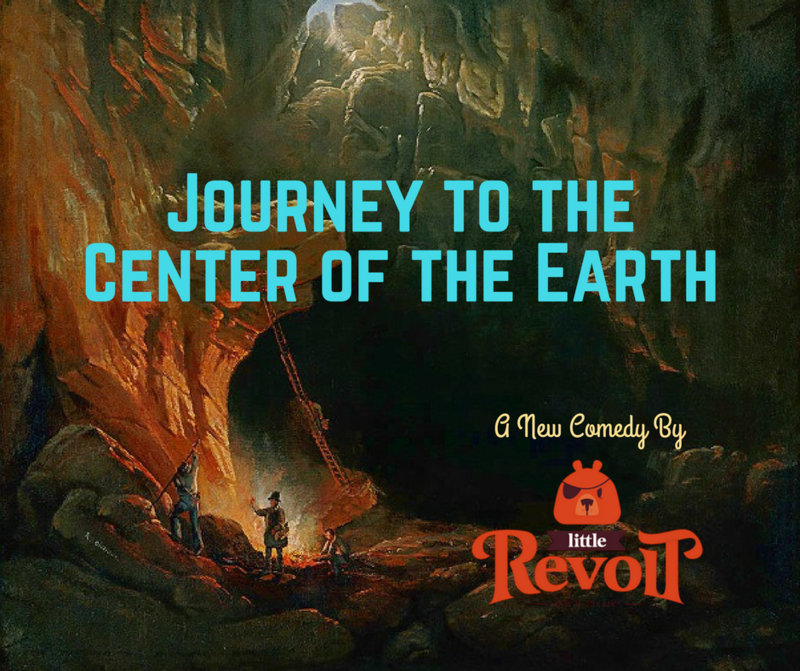 At Little Revolt we also believe that a focus on classical theater is important. Sure, modern, innovative theater is wonderful, but if we do not practice and encourage the classics, we run the risk of losing them. Carey Perloff, Artistic Director of the American Conservatory Theater in San Francisco, has argued very eloquently, “It would be a fantastic thing in this country [the United States] to re-embrace classical theater in all its plurality and diversity.” You can listen to an interview with her online here. Many in the theater world sing the praises of modernity and technology. People say that the digital age has ushered in exciting new types of storytelling. They are right. London’s Globe theater now broadcasts shows online across the planet. We can eavesdrop on a modern re-tweeting of ‘Romeo and Juliet’. The Royal Shakespeare Company dazzled audiences with digital magic in a recent production of ‘The Tempest’. We support all of these new ways of engaging people in stories. However, we also believe that the oldest type of storytelling, simply a group of people gathered around performers, is still the best type of storytelling, and probably always will be. We intend to follow original staging conditions or “original practices” (when possible) during Little Revolt’s Shakespeare performances. Here are several examples: We utilize universal lighting (so that the audience can see the actors, the actors can see the audience, and audience members can see each other). Our actors are encouraged to interact with the audience. Little Revolt often “doubles” actors in multiple roles. We like to end our Shakespeare shows with a jig. We offer gallant seating (right next to the sides of our stage area) and “groundling pit” seating down front (but on comfy blankets) for audience members to see the action up close. While we love beautifully designed theater, our budget doesn’t allow for elaborate sets or special lighting. We think original staging conditions help recreate a special magic on their own, and provide a rich experience similar in many ways to the shows during the time of Shakespeare. Many people like to put Shakespeare on a pedestal, but at Little Revolt we do not. Don’t get us wrong. We love the guy, and the more we study and practice his plays, the more we are amazed by his genius. He was a gifted writer and dramatist. We are lucky that so much of his work has survived for us to enjoy today. However, we also think he was . . . well, just a person – a guy writing plays, pursuing his craft, running a theater, making a living. Although Shakespeare became quite popular during his lifetime and eventually grew to be somewhat wealthy, we believe, mostly, he was just a person doing what he loved best – making theater. His goals were to entertain his audience, to make them laugh, to thrill them, to earn the respect of his peers, and to sell tickets. He also wasn’t perfect. (We can relate.) So we think a healthy approach to Shakespeare is not to treat him as a god; but rather, to respect him as a normal human person, and to appreciate his wonderful gifts as a dramatist. We did some work with a group of older adults at a local senior center. We spent 20 minutes analyzing and playing around with an opening speech by Egeus from ‘A Midsummer Night’s Dream’. During the exercise, which I borrowed from my friend and wonderful teacher Julia Perlowski, I witnessed the group’s mood change from frustration and utter confusion about the text, to aha, to enjoyment, to laughter – and it ended with an impassioned debate about equality! I thoroughly enjoyed watching attendees dance up a storm during the English old country dance lessons at Shakespeare’s Birthday Celebration. Likewise, I loved when our actors kicked up their heels during our end-of-show jigs. The eighth graders with whom I worked completed a wonderful Midsummer Night’s journey together. They acted in their first Shakespeare play, and impressed many along the way. Small children sat up close in our gallant stools and paid attention during our entire performance of ‘Twelfth Night’. This was amazing and touching. I wanted to cry tears of joy when our thirteen year old Feste sang “Come Away Death” so beautifully in ‘Twelfth Night’. One day my eighth grade workshop students and I made our were walking through the school. Several younger kids were curious, and they asked the workshop students, “What are you doing?” The older students replied, “A Shakespeare class.” Then a wide-eyed boy asked earnestly, “What’s Shakespeare?! ?” I laughed and thought, just you wait and see, young man. May 9, 2017 May 19, 2017 Samuel2 Comments on It’s Our Anniversary – Thank You for a Great First Year!